Synopsis From Play-Asia : As the youngest and newest member in the K-On! 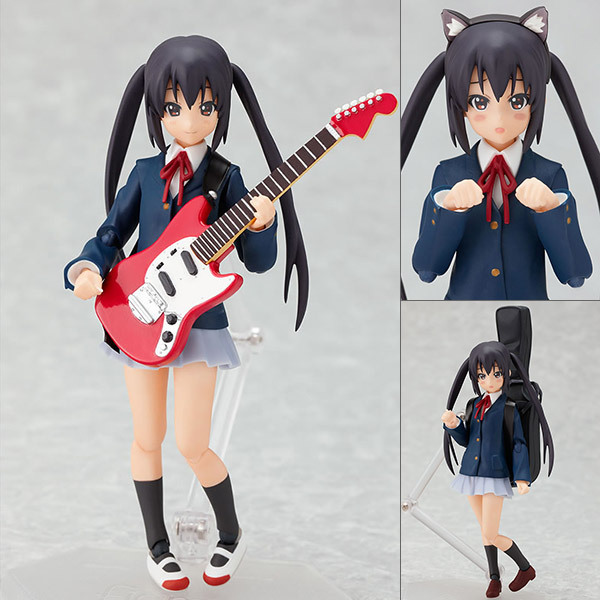 band, Azusa, or Azunyan is the last figure in the Figma series. Recreate her moves, the package comes with three expressions – anger, smile and blush, position her hands on her guitar or put the kitty ears on her and have her pretend to be a cat. Like Yui and Mio, the figure comes with a glossy guitar and the case. Have her jump and bounce on stage by attaching the crane to her back, the soft material her clothes are made out of won’t hinder any of her poses. Synopsis form Play-Asia: While Saber is the princess knight, Odin is the king of gods in Norse myths and the king all knights in Final Fantasy. Developers in Square Enix’s the Play-Arts Kai studio summoned Odin and created his action figure. All details you have seen in the game are sculpted into the figure, from the carvings in his lance to all the nuts and bolts in the armor. You can recreate the high speed action scenes from the screen in real life. 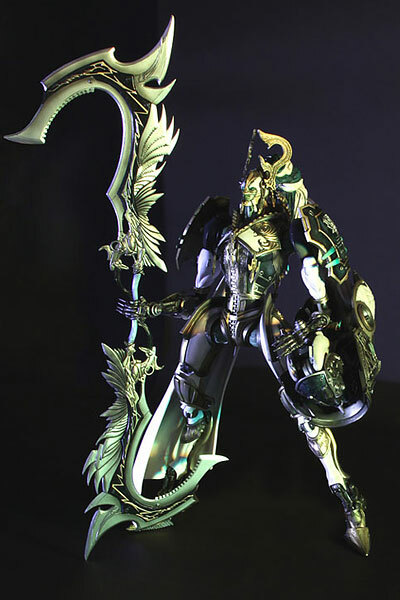 Transform the giant knight into an armored stallion and put your Play Arts figure of Lightning onto his back. How can you miss one of the most impressive summon beasts of all time? A product of Square-Enix would be released on September, 2010.